Detectives arrested him two days after XXXTentacion was killed and believe he was the driver of the SUV that blocked the rapper's BMW. The auto driven by XXXTentacion was blocked by a dark-colored SUV as it was exiting the Riva Motor Sports motorcycle shop on June 18. During a court hearing, Broward Judge Kim Theresa Mollica ordered that Newsome remain in jail without bond. Veda Coleman-Wright, a spokeswoman for the Broward Sheriff's Office, said Trayvon Newsome, 20, surrendered to deputies about 5 p.m. Tuesday at his lawyer's office in Fort Lauderdale. In July, all four men were indicted on charges of first-degree murder and armed robbery. Robert Allen, 22, of Fort Lauderdale was arrested at the end of July by the US Marshals Southeast Regional Fugitive Task Force. 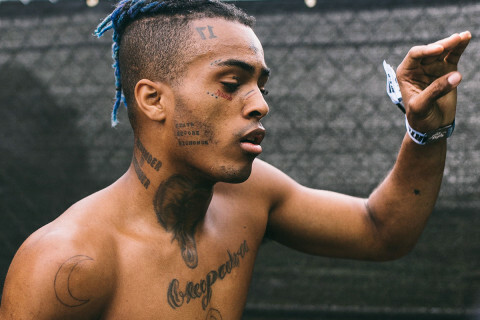 According to an affidavit for Boatwright's arrest warrant, XXXTentacion was robbed of $50,000 that he had tucked into a small Louis Vuitton bag in his BMW when he was shot and killed. The two men left and got in their vehicle. The rapper was shot after a brief struggle. The indictment describes Boatwright as the gunman. One of the men - whom authorities later identified as Williams - bought a black mask. Later, police said Williams' girlfriend told them he had told her he was involved but that it was Boatwright and Newsome who carried out the actual robbery and slaying. The grand jury found he possessed a gun during the robbery and killing.